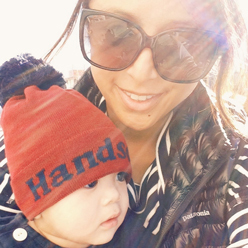 2015 has given me a lot to look forward to, including fresh home decor trends for my home. And while I may daydream wistfully while I leaf through the latest Elle Decor, House Beautiful, and my favorite Home Decor blogs, I can absolutely add new oomph to my rooms with a little savvy shopping. From Pantone’s must have color to vintage glam crystal to Santorini’s brilliant blues, here are 8 hot home design trends for 2015 and the easy, affordable ways you can add them to your home. See ya later, Radiant Orchid. This year, Pantone has hailed the velvety red, Marsala, as 2015’s color of the year. And it couldn’t have come at a more perfect time, as deep, moodier hues are the IT shades for paint colors, textiles, and accent furniture. Home Decor Trend Tip: A dash of Marsala packs a punch for any room. 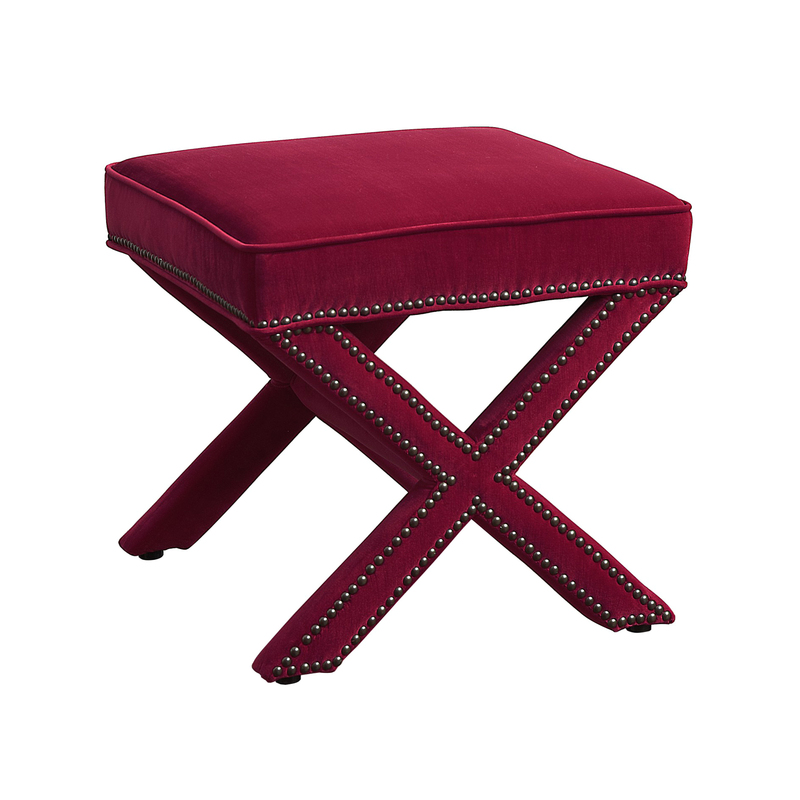 A lacquer tray, throw pillows, a wool blend blanket, or a chic mini ottoman stool are easy and affordable ways to add Marsala into our homes. A few years ago, Rose Gold took the jewelry and accessory world by storm and firmly established itself as the new, chic metal to own. 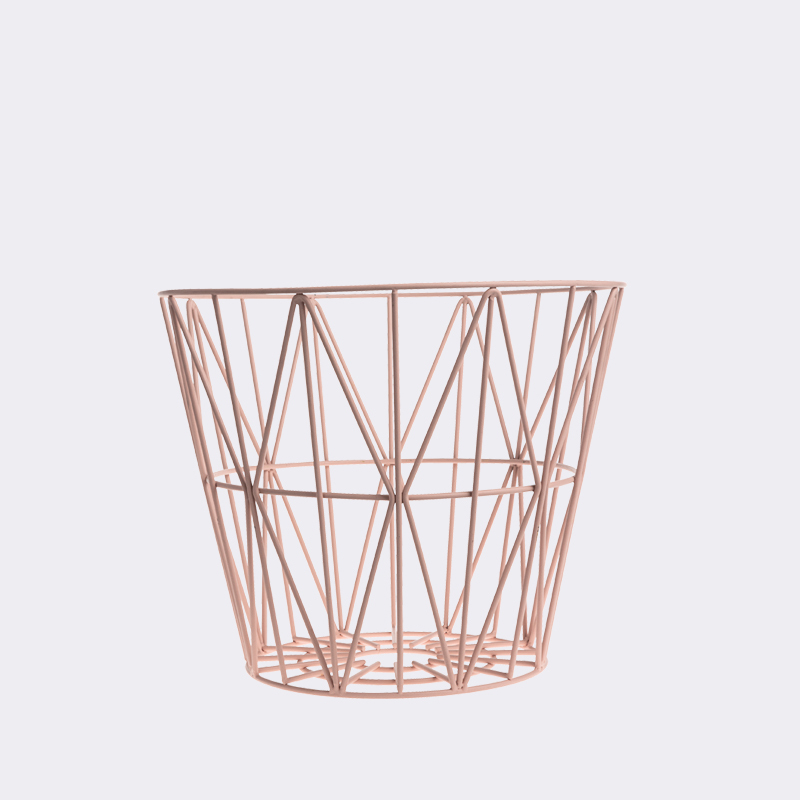 Copper’s irresistible influence in home decor is identical to the Rose Gold craze and we couldn’t be happier. This warm metal gives a glamorous nod to Art Deco days and is a refreshing change from the gun metals, silvers and golds. Home Decor Trend Tip: Copper accents shine the brightest in lamps, coffee table details (mini vases, tealights, trays). 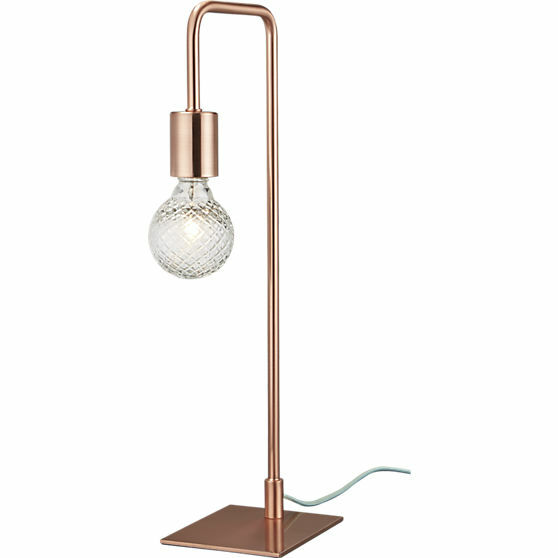 Upgrade your bedroom or living room table lamps with copper this year. 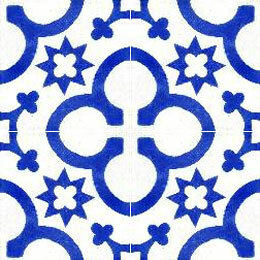 Blues keep their spot on the home decor hot list this year, this time in the form of all things Mediterranean blue. Bold, graphic encaustic tiles are also a huge YES for any home and I personally cannot get enough of these Med inspired tiles for a kitchen, bathroom, or any other room in the home. Home Decor Trend Tip: When opting for a Mediterranean look, lots of pure white—sheets, walls, furniture—as a backdrop helps the graphic tiles or splashes of blue stand out. A vibrant blue coffee table tray, mini chevron duvet cover, or a row of mini photo frames on a mantle are simple ways to add a little Med to our homes. Minimal home design, for some time, meant cool steel frame furniture and limited color. With natural minimalism, the sleek, simple lines we love are offered in organic based materials, such as wood. Suddenly, our homes can have both a minimal and warm look and feel. Home Decor Trend Tip: Minimal furniture sets the style of a room. Invest in the warm wood item that has the versatility across rooms in your home, as your decor evolves over time. 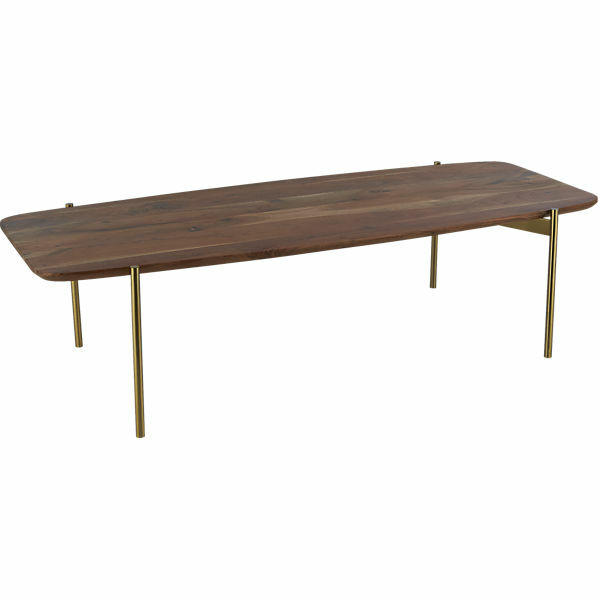 This west elm Adam coffee table is a great example. It’s awesome in the living room, master bedroom, den, and more….and the rounded edges are a huge win for families with zooming little ones. Tired of buying a new printed decorative pillow, multicolored throw blanket, or tray only to be tired of it a few months later? Choosing a few home decor items with eye catching texture—in your favorite neutrals or colors—is a fabulous way to make your home stand out. 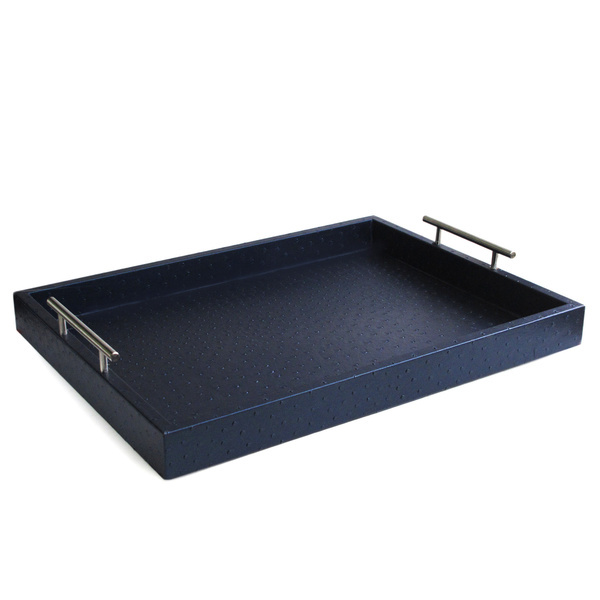 And since they lack a specific print or pattern, these items tend be loved more and last longer in your rooms. Home Decor Tip: Textured Leather trays (I’m OBSESSED with this Ostrich Leather Tray), faux fur pillows or throws, shag rugs, and studded/hobnail accents are simple, chic ways to add a little texture into any home. If you still can’t get enough of those whisper blush pinks, powdery blues, and cool mint greens, 2015 still considers these delicate pastels a must for home decor. Pretty pastels are perfect options when choosing room paint colors: they make a stylish statement without being too bold, and have a calming effect as well. Home Decor Tip: In addition to pastel room paint, adding these soft shades in unexpected items—such as a coated wire storage basket, photo frame, or side table—make any room instantly cool. Try complementing these pastels with deeper hues: dark navy, iron grey, or hunter green to make them pop in a new way. 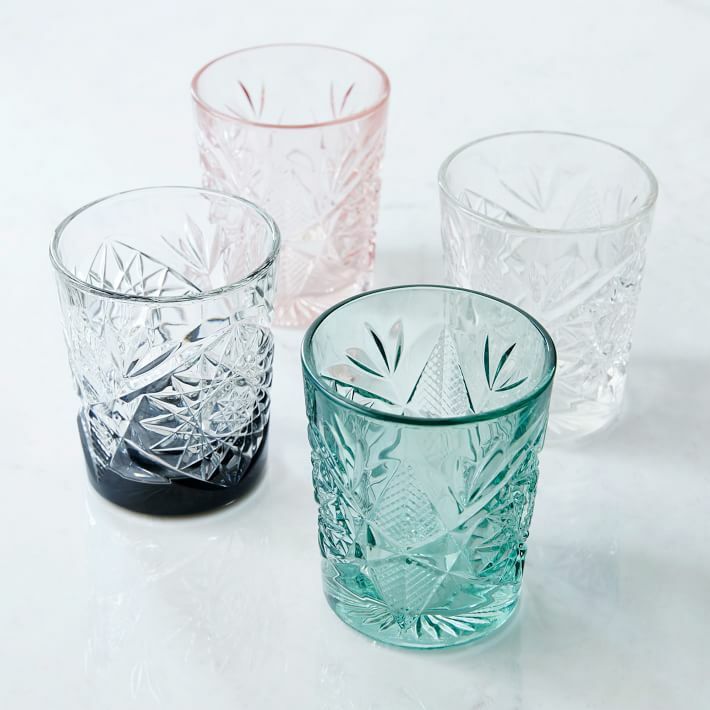 Grandmother’s vintage glassware makes a major comeback this year, with cut crystal as a hot home decor trend. From vintage chic water goblets to the Mad Men inspired cocktail glasses and dazzling crystal cut light bulbs (see the cb2 copper lamp above), these items add depth and glam to any home. Home Decor Tip: For everyday decor and entertaining, keep the fancy crystal safe and sound. Many of our favorite home shops offer an inexpensive option in cool colors or designs. Flea markets are a good mine for cut crystal decanters and vases at a fraction of the price. Following the emphasis on organic themed decor, leather accents round out our hot list this year. From an accent cowhide rug by the bedside table to distressed leather throw pillows for the living room, showing some skin in our homes is a cool decor trend this year. Home Decor Tip: Unless you have a love for leather, faux leather is a perfectly stylish—and affordable!—alternative. 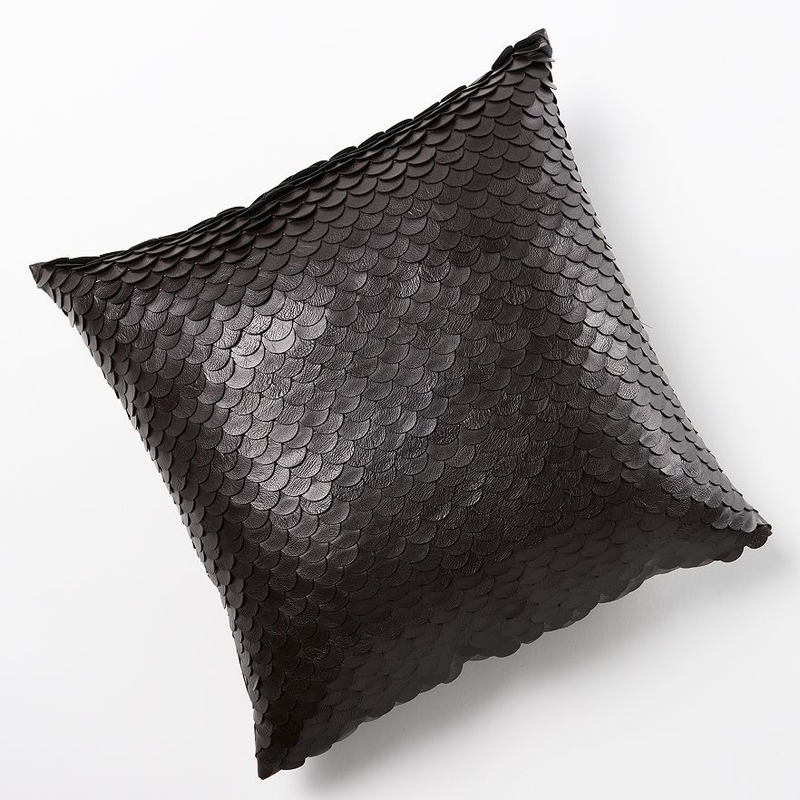 I recommend faux leather items with some texture (this mini scallop design is awesome!) to it, to keep it from looking plain and cheap.